Synopsis: This acclaimed edition of Alessandro Scarlatti’s operas is making available for the first time authentic versions of the works of one of the key figures in the history of the genre. 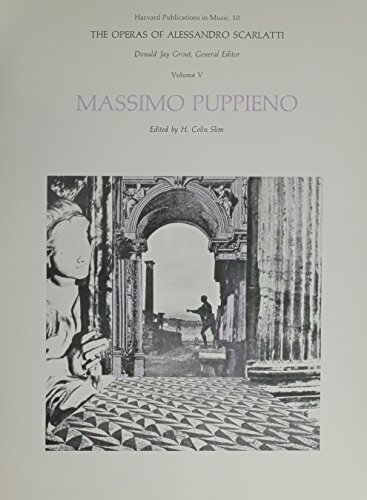 In this fifth volume of the series, Colin Slim provides a definitive edition of Massimo Puppieno, an opera from the middle years of Scarlatti’s career. In his Introduction he discusses the opera and performance practices of the day. A translation of the libretto is appended. The presentation of the score itself meets the high standards set by this edition. About the Author&colon; H. Colin Slim is Professor of Music at the University of California, Irvine.